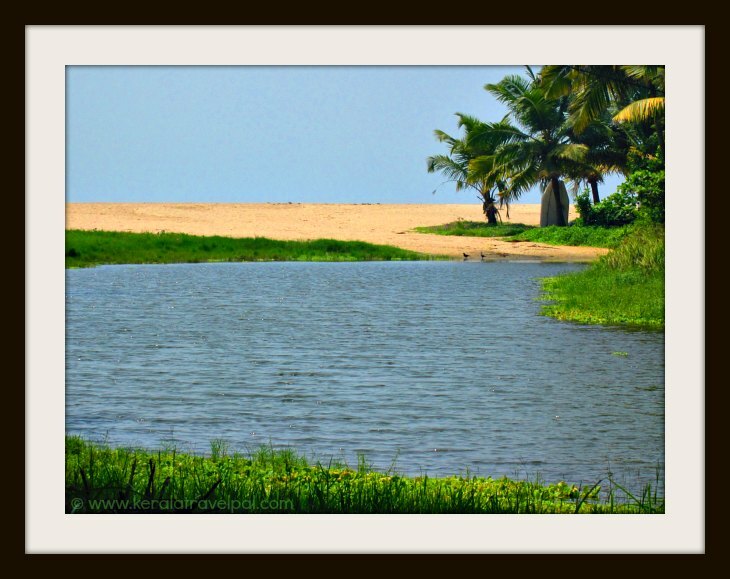 Marari beach, located in Alappuzha district, is one of the fine beaches in the region. Alappuzha (Alleppy) has two stand out beaches - the mainstream, close to town, Alappuzha beach and the quiet, rustic Mararikulam (Marari) beach. 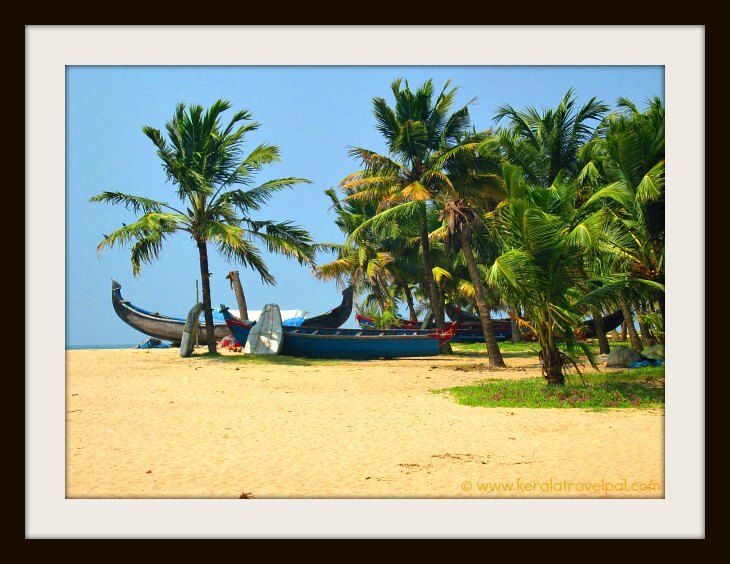 Mararikulam is first and foremost a fishing hamlet where small wooden boats rest on the sea shore. Modern tourism is yet to arrive, except for a few resorts. Life that is simple revolves around men going to sea in small boats and bringing in daily catch. This simplicity is a striking factor for travel folk who settle down at the sands of Marari, for a day or two. You could add more days if you wish, but the question is - what are you going to do other than swimming, sunbathing and pure idling? Of course, you could spoil yourself with plenty of tasty local food. Let me add that the sands are fine, the beach is long and the shores are green. And the coconut hamlet is as tranquil as the beach it surrounds. There is only one downside to Marari beach. Unfortunately, it is one of those beaches where you are going to find human excrement in certain areas. If you are staying in a major resort, their private beaches remain clean always and not likely to encounter such an issue. Marari Beach Resort (MBR), right at the beach is a main place of stay. Half a hundred cottages means a sprawling outfit. However, the entire resort blends in well with the surroundings since the cottages are constructed similar to fishermen’s huts. If you think MBR is pricey, check the nearby Beach Symphony. They are much smaller establishment with only a few rooms, the price is cheaper although not too cheap either. A couple of new resorts also have sprung up in the area recently. Another choice is to try home stays nearby. There are a few around. Mararikulam is 14 kms south of Alappuzha town, reachable by car in less than 30 minutes. If you are back packing, easy to hire an Auto rickshaw or taxi from Alappuzha town. Cochin City is about 53 kms and the airport is nearly 90 kms from the beach. The major railway station is at Alappuzha. There is a local station at Mararikulam north. Food Options : Restaurants at Alappuzha town. Accommodation Options : Hotels, lodges, homestays and resorts at Alappuzha. A few choices near the beach. Best time to visit : September to May. Heavy rains spoil much of fun during peak monsoon (June-August). Nearby Attractions : Mararikulam Shiva Temple, Cherthala Karthiyani Temple, Thumpolly beach, Kumarakom, Alappuzha & Kuttanad for backwater rides, Kumarakom bird sanctuary, Aruvikkuzhi waterfall, Alappuzha town (food & shopping), Pathiramanal Island, Alappuzha beach, Krishnapuram Palace, Karumadikkuttan, Chavara Bhavan and Edatuva Church.